Unique, thick cook at home pudding with the tangy goodness of tropical pineapple. 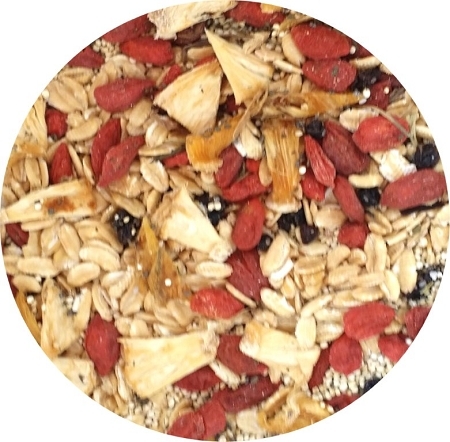 Goji berries and blueberries add extra antioxidants. Superior quality South American grown quinoa forms the base. Popular for medium and large parrot species.